This article was made available through eKantipur.com. KATHMANDU, Aug 29 – The extension of the new cabinet which was said to be taking place on Friday has been suspended after the Maoists and other small parties failed to pick up the names of nominees from their sides. The CPN-Maoist secretariat meeting that took place in the prime minister’s official residence at Baluwatar today could not decide the five more faces to be joining the cabinet. Emerging from the Baluwatar meeting, Maoist leader Krishna Bahadur Mahara said that the party failed to decide on the ministerial nominees due to internal reasons. Saying that the party has entrusted the prime minister for the selection of new ministers. Mahara said that voices for inclusiveness have been raised. “We will take into consideration the regional, ethnic and gender issues this time and the expansion will be inclusive,” he added. This article was published in the Monthly Review Zine. 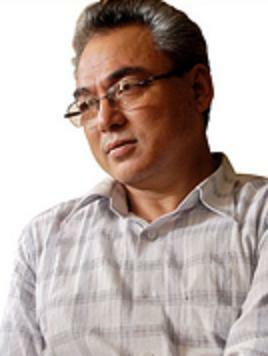 In a historic vote on 15 August 2008 in Kathmandu, Pushpa Kamal Dahal (aka Prachanda), chairman of the Communist Party of Nepal-Maoist (CPN-M), was elected first Prime Minister of the Federal Democratic Republic of Nepal, where now a “Maoist leads from the top of the world.” Prachanda garnered 80% of the votes cast in the Constituent Assembly. This turn came on the heels of the surprise election of Ram Baran Yadav of the Congress Party as new President of the Republic on 22 July, a move then regarded as a momentary serious blow to the CPN-M. This article appeared on Democracy and Class Struggle. Defense Minister Ram Bahadur Thapa ‘Badal,’ has said that the process of integration of army will be completed between three to six months. Talking to reporters in Itahari, Tuesday – where he had gone to inspect flood affected regions – Minister Thapa said that a special committee will be formed to initiate the process. Meanwhile, reports say that the Defense Minister has said that Nepal will not continue to wait for India for renovation of Kosi embankments. This article was published by A World To Win news service. 25 August 2008. A World to Win News Service. The new Federal Democratic Republic of Nepal has a new government, led by the Communist Party of Nepal (Maoist). The election of its Chairman Prachanda (also known as Pushpa Kamal Dahal) to the post of Prime Minister punctuated nearly three months of political turmoil since the Constituent Assembly abolished the monarchy at its first sitting. The Constituent Assembly, meant to decide the country’s future political configuration, was a result of a process that began in 2006 when the Maoist party signed a ceasefire agreement with the main parliamentary parties, left out in the cold when King Gyanendra took all power into his own hands the year before. Against all expectations, the CPN(M) won more than a third of the seats at the subsequent elections, held on 10 April 2008. The polls were a big blow to the two parties that had dominated parliament in the constitutional monarchy period, the Nepal Congress and the Communist Party of Nepal (Unified Marxist-Leninist), whose combined total of seats is slightly less than that of the Maoists. Despite its name, the UML was a merciless opponent of the people’s war that took place during the monarchy, both when the UML briefly headed the government itself and when it was a junior partner of the NC. Nevertheless, these two parties have shown that they intend to continue to play a major role in affairs of state. One of the key electoral slogans of the CPN(M) had been “Prachanda President”. But when elections for President were held a few weeks ago, the CPN(M) candidate was denied the necessary majority vote in the Constituent Assembly by an alliance of the NC, UML and the Madhesi Janadhikar Forum. The MJF is a new, explicitly non-revolutionary and pro-India party that says it represents the people of the Terai region, who live along the border with India. The presidency went to Rambaran Yadav, a central NC leader from the Terai. Although the CA created this new position to be mainly ceremonial, as head of state the president is officially commander in chief of the army and is empowered to declare a state of emergency. These two articles appeared on Nepal News. The central committee meeting of the main opposition party Nepali Congress (NC) continued for the second day on Tuesday. Today’s meeting was mainly focused on evaluating the party’s performance in the recent times – particularly after the party was forced to stay in the opposition following the ascent of the Maoists to power. NC sources said some CWC members including Chiranjjvi Wagle, Binay Dhoj Chand, Uma Adhikari, Deep Kumar Upadhyaya and Sunil Kumar Bhandari criticised the leadership for the loss the party suffered in the Constituent Assembly election. The ‘dissident leaders’ also suggested the party to play a strong opposition role in the CA, and demanded that the meeting of Maha Samiti be summoned as early as possible to fix the date for the general convention that will choose new leadership, sources added. This article appeared on eKantipur.Com. KATHMANDU, Aug 25 – Senior Maoist leader CP Gajurel on Monday said that there is no seniority dispute in the government and the Maoists are ready to give the second hierarchal position to the UML. Speaking at a programme organised by the Reporters’ Club in the capital, Gajurel said that the Maoists are aware of the fact that the government cannot run without the UML. Moreover, he said that UML showed political mediocrity by not joining the government for not getting the second position in the cabinet. The Maoist think tank alleged both the Maoists and the UML of making mistake by drawing in a row over the ministerial hierarchy. “Politics is turning pathetic and this is a matter of serious concern,” he added. This is a lead editorial from the Maoist newspaper Red Star. Congratulations to the first Prime Minister of the Federal Democratic Republic (FDR) of Nepal, Comrade Prachanda! The CPN-Maoist, after more than decade long class struggle, has now the opportunity to lead the government of the FDR of Nepal. According to the mandate of the people, given through the election of the CA, the Maoist has the right to lead the government. The largest party in the CA is now going to lead the new government formed according to the mandate of the people. 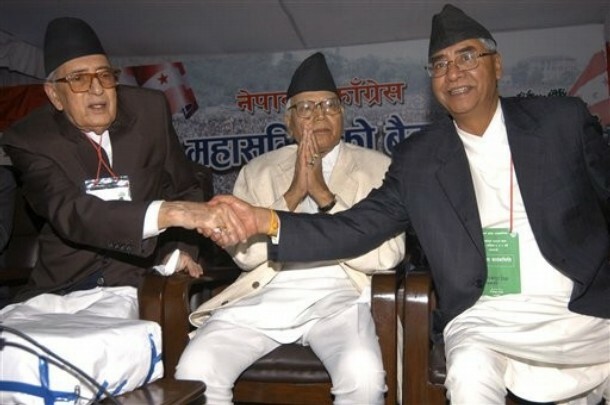 Before this, there was disharmony between the concept of new Nepal and the leadership. A federal republic had been declared, but the actual leader of the new Nepal was out of power; the same old status quo leadership was in the government. The people of the country have seen a beautiful dream come true with the declaration of republic. They are waiting for their dream to be implemented. On the one hand, people are waiting hopefully; on the other hand, the anti-people elements and the reactionaries are trying to create problems. The real fight for institutionalizing the Federal Republic has begun. The CPN-Maoist has already declared its immediate as well as strategic plans and programme in its election manifesto as a commitment paper. Although the CPN-Maoist has promised to institutionalize the FDR through restructuring the entire state and socio-economic transformation, this is a very difficult task to implement in practice. Furthermore, the CPN-Maoist is in a minority even though it has won a two-thirds majority, arithmetically, in the election of Prime Minister. In this situation, the CPN-Maoist will have to face challenges and obstacles at every step in the implementation of the minimum programme of ordinary social reforms. This article appeared in the Nepali Maoist newspaper Red Star. Prachanda, Chairman of the Communist Party of Nepal (Maoist) (CPN-M), was elected the first prime minister of Republic of Nepal by the Constituent Assembly CA)on Friday evening. He defeated former Prime Minister Sher Bahadur Deuba, the Nepali Congress candidate in the CA voting. 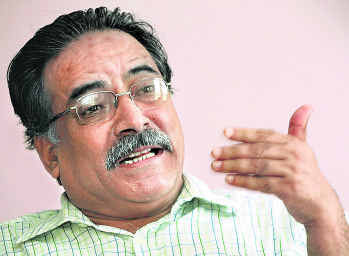 Prachanda, meaning “the fierce”, is Pushpa Kamal Dahal’s party name in the single largest CA party, CPN-M. In February 1996, the CPN-M tendered its 40-point demands to Deuba-led government and launched an “armed revolution” against the government after its demands were rejected. This article appeared in the Nepali Maoist newspaper Red Star. It is a significant appraisal of the role that the Maoist leader Prachanda is playing today. It is written by Bhattarai, a major leader of the Maoist revolution in his own right. Today, the history of Nepal will be written in gold. We have ended the epoch of the rule of feudalist monarchy, and entered into the era of Federal Democratic Republic. Unfortunately, for four months we were unable to elect our chariot driver for the new era. At the moment, we can hear the cries and excuses of the defeated. We know that the old train driver who drove the train for many years had become too old to drive. But he refused to hand over the authority to the new younger driver. Instead, he tried to pull the train back. It was not that the Maoist could not assemble a national consensus; rather they were denied the possibility of forming a national consensus. Who were creating these obstacles? Yet, by overcoming these obstacles, the process is moving ahead. The march of history cannot be stopped. Listen, friends from Congress; this is not the time to weep and cry, instead it is time for all to respect and follow the verdict of history. During a certain period of history, the NC also was also more or less against the monarchy; the NC also struggled for democracy. Therefore, we worked together with the NC since the 12 point understanding; the Comprehensive Peace Accord; and the election of the CA up to the declaration of the Federal Democratic Republic. However, a new era demands a new leadership; the Nepalese people have demanded a new leadership for a new Nepal through the electoral mandate. The new leadership should have come into being right after the people’s verdict, but it was prevented from doing so. Because of this, we were forced to live without any leadership for four months. This article appeared in Nepal News. In his first message to the countrymen as the prime minister, Pushpa Kamal Dahal has laid heavy emphasis on promotion and consolidation of nationalism, republic and socio-economic change. “Certainly, there are high expectations from the public from the new government. We will fulfill their aspirations by working in objective and planned manner. For which, we have outlined a number of national priority issues,” he said. “First and foremost is the protection of national sovereignty, independence and territorial integrity. If Nepal does not exist, then there is no meaning for anything else including the republic. But we have to strengthen the national unity based on full equality among people from Himal, Pahad, Terai and Madhes,” he said. MSF (Doctors without borders) is an international, medical, humanitarian aid movement. The organization provides urgently needed medical assistance without discrimination. By stopping the MSF to work in the remote villages affected by the Maoist insurgency, the government denies the right to life to thousands of indigenous people. The government itself is not present in these villages and is not providing any medical health services. The state of Chhattisgarh in the heart of the tribal belt of India has witnessed Maoist rebel activities since the 1970s. 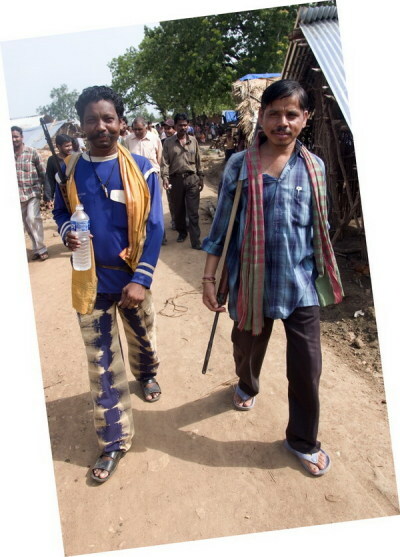 The Maoist rebels (also called Naxalites) are mainly active in the remote tribal regions of the state. 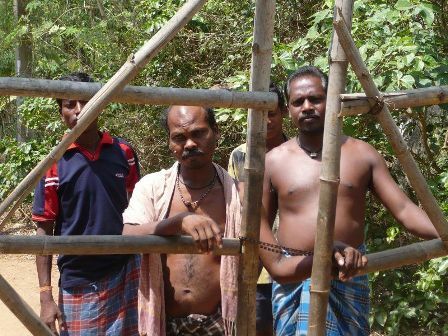 The tribal population, the Adivasis, are the base of their recruitment. A dramatic turn in the conflict occurred in 2005 with the formation of Salwa Judum. This state-sponsored paramilitary movement was created to counter the Naxalite threat. Since then, tens of thousands indigenous people were forced to abandon their villages and forests and to settle in Salwa Judum run relief camps. The Nepali Maoist newspaper Red Star ( Issue 13, August 18) has reprinted (as an “opinion” piece) the following article from a European communist newspaper. this article originally appeared in La Voce (29 July 2008), the review of the (new) Italian Communist Party. The piece was originally entitled, ‘Nepal – The First Great Victory of International Communist Movement in the XXI Century’, CARC Party – International Relations Department. As is well known to readers of this site, the RCP,USA and the closely-alligned Committee of the Revolutionary Internationalist Movement have maintained a stunning (even shocking) silence as Maoist comrades have dared to reach for power in Nepal. The full article follows here. The following article appeared in the Statesman, August 17, 2008. JAGATSINGHPUR, Aug 17- The recent arrests of ‘suspected Maoists,’ particularly Pratima Das and Debendra Dash who were moving in broad daylight drawing attention of one and all by accompanying a foreign national David Pugh, has inevitably triggered a debate on whether anti-displacement activists were being dubbed and booked as ‘suspected Maoists’. A section of human rights and social activists, poets and journalists raised questions on the recent police action here today. While a local Oriya daily newspaper had a front page editorial captioned ‘I am a Maoist,’ another magazine editor held a meeting at Bhubaneswar to decry state repression. The Oriya daily newspaper which carried a front page editorial claimed that Debendra Dash was a reporter working for the paper in Jagatsinghpur district.